starring James Franco and Henry Hopper. and won the TangerineAward for Best Female Director. 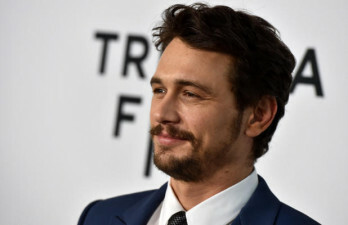 based on the poetry of C.K.Williams, starring James Franco, Jessica Chastain and Mila Kunis. Her short film The Last Cigarette was broadcast on PBS. She has directed and produced several branded films for Calvin Klein, Vita Coco and Moxie Pictures’ “I Love New York” campaign. This Intensive will begin with a brief Q&A with Gabrielle. Then you will perform general sides that Gabrielle has personally chosen for you from her past/upcoming projects, which will be assigned approximately 1-3 days in advance. Be sure to upload your headshot and enter in your credits. It's especially important so that the film director for this workshop can view your online resume ahead of time. Born and raised in Paris, Gabrielle is a New York-based writer/director. She wrote and directed the feature film YOSEMITE, starring James Franco and Henry Hopper, which Variety called "an impressive debut," and was released theatrically in 2016. She also wrote and directed a segment of the feature film THE COLOR OF TIME (2014), based on the poetry of C.K. Williams, starring James Franco, Jessica Chastain and Mila Kunis. Her short film THE LAST CIGARETTE was broadcast on PBS. She is currently in development on "PUTAIN!" a half hour dramatic comedy series with Sara Jessica Parker's company Pretty Matches and is writing her second feature film. She has directed several music videos as well as directed and produced branded films for Calvin Klein, Vita Coco, Moxie Pictures’ “I Love New York” campaign and KIA. Gabrielle holds a BA in Literature from Yale and an MFA in filmmaking from NYU. She teaches film directing at Columbia University. After taking a class at One on One, Christopher was brought in by Meghan Rafferty to audition for a BRAND NEW SERIES! After taking a class with Meghan Rafferty, Chris was brought in to audition for a BRAND NEW SERIES! After taking a class at One on One, Tonya was brought in by Meghan Rafferty to audition for a BRAND NEW SERIES! After taking a class with Meghan Rafferty, Paul was brought in to audition for a BRAND NEW SERIES! After taking class with Allison Kirschner of Gayle Keller Casting, Chris was called in for a role on HBO's CRASHING! After taking a class with Kim Miscia, Keith was brought in to audition for MR. ROBOT and he BOOKED IT!